Raise your glass! Celebrating the strides of decades past and progress to come in the future is a little bit easier when you use the LGBT Pride Drink Ticket to maintain the organization of your libation station. Includes a colorful and upbeat design, security numbering, and space to upload any custom image or logo. 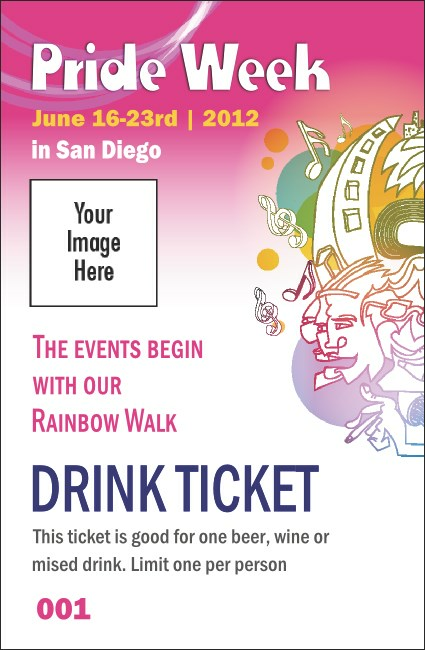 Mix it up with the right Drink Ticket from TicketPrinting.com.